The Center for Social Media at American University is hosting an MP3 of the (somewhat contentious) panel discussion on DRM entitled “The True Cost of DRM: What Can’t We Do Now?” which occurred at the Consumer Electronics Show this year. Digital rights management and what to do about it is an issue that affects media producers, distributors, and consumers. Basically, if there’s media in your life, DRM affects you. Chris Anderson (author of The Long Tail, editor of Wired Magazine) recently did an interview with Charlie Rose. See: post on his blog for embedded video. In light of Avid’s recent price cuts Frank Capria at Pro Video Coalition answerers the question “Can Media Composer at $2,495 compete with Final Cut Studio?” The short answer? It doesn’t have to. He talks about his favorite premium features in Avid (Animatte, FluidMorph, and ScriptSync) and makes suggestions for attracting more students away from Final Cut Pro. Keep that in mind next time you’re debating whether to cut that extra scene. Michael Learmonth of Silicon Valley Insider, speculates that Hulu is selling ads at $25 CPM (cost per mille), and that their monthly traffic of 5 million viewers would translate to $125,000 after revenue sharing. He doesn’t cover what numbers he thinks Hulu has on the expenses side of the balance sheet, but does say that $1.5 million annually is not going to cover the costs of a venture valued at $1 billion. Of course Hulu will probably gain viewers over time, but the catch is that, as viewers increase, so do the costs of bandwidth and marketing. Silicon Valley Insider has another post about why Hulu will fail. Both of these articles raise valid questions for anyone looking to distribute their own content. Even for people not hoping to make a profit large enough to live on, the requirement remains to have a model where you can increase viewership without incurring incremental costs greater than the returns. So what’s the business model for your content? I’m not sure this is the best way to make a film, but it certainly is one way. 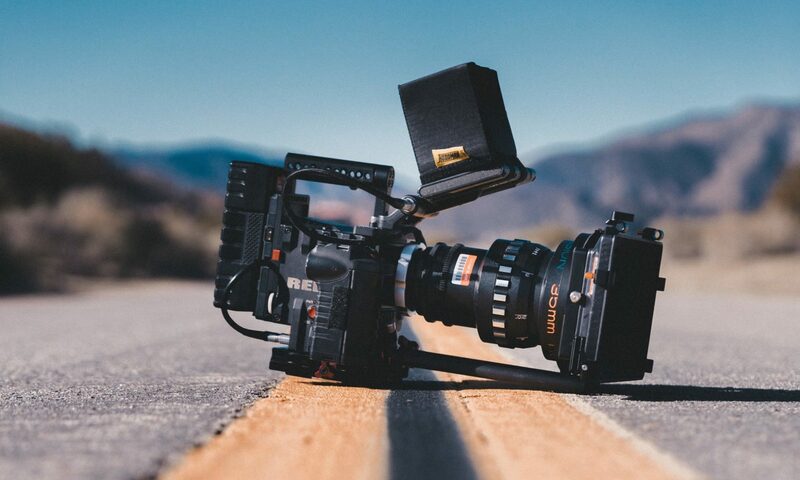 Guerrilla Filmmaking Tips and Tricks has several resources for ultra-low budget films including a couple Top Ten Lists like TopTenTips [sic] for Movie Production and Guerilla Filmmaking. Ask any editor, and they will tell you to pay particular attention to #10. A similar list is Dan’s TopTenTips [sic] for Short Film Makers which includes some of the same rules. I like this checklist for a short film. I have been guilty of violating at least some of those rules, but if someone had told me this before I started I might have done things differently. If you follow developments in digital video like I do, you’ve probably been drooling over the Red One for quite some time now. I won’t attempt to explain the impact of the Red One in it’s entirety just yet, but I thought you might be interested in seeing an example of the Red One’s new feature: 120fps shooting. This lets you get true slow-motion footage, rather than creating it by interpolating frames in your edit system. Mike Curtis has graciously posted footage over at ProVideo Coalition of Spencer chasing tennis balls. It’s worth a look. The Red One, although vastly more affordable than it’s competitors, remains out of the price range of most small budget independents (at about $17,500 for the body alone), but it’s being put to good use by the likes of Steven Soderbergh, Peter Jackson, and Doug Liman. To get a sense of the effect the Red One is having on the industry, consider Soderbergh’s reaction: “This is the camera I’ve been waiting for my whole career: jaw-dropping imagery recorded onboard a camera light enough to hold with one hand. I don’t know how Jim [Jannard, Red founder] and the Red team did it–and they won’t tell me–but I know this: Red is going to change everything”. Ken Levine, TV Comedy Writer, has a timely post called “If a major studio gave notes on JUNO.” This is a great humorous take on how a major studio would have changed the Oscar-nominated film from something fresh and poignant to just another stereotypical, bawdy Rom-Com. Thoughts on why being independent, small budgets and all, is something worth being grateful for. A huge budget and studio backing of your project does not bring you freedom. With all that money comes accountability to your investors. For the same reason that accepting venture capital as a business startup limits your control, getting financial backing doesn’t free you to do what you wanted to do with your film. It forces you to accommodate the opinions of the people who just bought into your film. The drive to make your project financially successful can get in the way of taking risks with originality and stifle the art. Working on a small budget, and being forced to solve problems in the production of your film causes creativity to be a necessity. That creativity might just lead you into creating art instead of just entertainment. Are you in a screenwriting slump? Is that sunny spring weather calling to you to put away the laptop and frolic among the trees? Well sit yourself back in that office chair, buddy, cause it’s Script Frenzy season! Before my laptop died, I was a NaNo participant, and it was a lot of fun. You’d be amazed how much you can write when there are people cheering you on, and the deadlines are concrete. I’ll definitely participate this year!